Thanks to the gun rights movement and the thousands of activists that make it up, there are more firearms around today than ever before. There’s almost nowhere where people shouldn’t be allowed to carry firearms for personal protection supporters say—even in mental hospitals, as is the case in Texas. But concealed and open carry on college campuses is creating some consternation among police officials charged with keeping college kids safe. The big problem is that when cops do show up during an active shooter incident, it might be hard to know who to shoot. The guy with the crazy look on his face and a firearm might be the good guy with a gun that stopped the bad guy with a gun. I’m one campus cop who is NOT concerned in the least. We already allow CCW/CWP on our campus, from before I ever got here. 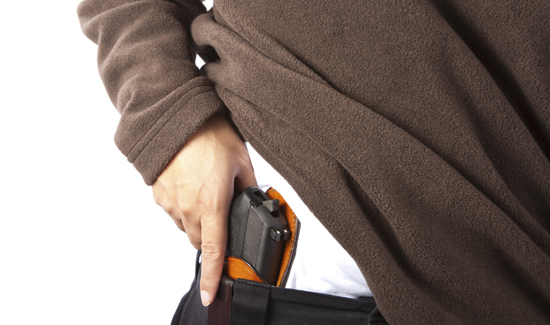 Campus carriers know they MUST keep their firearms concealed. They also know to get down and get out of the way when we arrive on scene. In fairness we have it easy, here, though. No dorms or sporting events to deal with. Just an opinion, but the only campus cops “concerned” are likely the ones whose anti-2A college bosses, tell them they are. The wording of this piece is painfully anti 2A, and more than a little disturbing coming from law enforcement. It’s simply a hit piece full of opinion, and actually casts the police in a poor light. It seems to suggest that training and protocol is overridden in an emergency, no discernment can be made between good and bad. I doubt that the law abiding citizen will be the one actively involved in mass murder, or firing on the police. Actually, as a campus police officer I do worry about mistaking a “good guy” with a gun for a bad guy. Our intensive training in active shooter situations emphasizes ending the threat as soon as possible. I do like what another college officer wrote about specifically training campus carriers to put their weapons away and getting down when the police arrive to avoid getting shot during a dynamic situation.